While businesses have turned to online collaboration tools for their daily tasks, presentation software has gone mostly unchanged since the 1980s. However, Pitch aims to change this with its upcoming open platform for presentations and content collaboration. We sat down with the company's CEO Christian Reber to learn more about the platform and how it could possibly change the way we make presentations going forward. Why did you create Pitch? What problems are you trying to solve? Presentations have defined entire industries and architected how organisations work. They impact the lives and businesses of hundreds of millions of users every day. Some of the most important business and economic decisions are based on presentations, yet the tools widely used today have remained more-or-less within the same paradigm since the early 1980s. We believe it’s time for something better - and that's why we are working on Pitch, the next generation presentation software for individuals and teams. What makes Pitch stand-out from its competitors? Existing presentation tools are complex, do not integrate with external data sources, have limited collaboration features, and are generally quite time-consuming to use - and that's before we even start talking about the nightmare that is version control. In fast-paced business environments, we believe that a tool like Pitch will help teams and individuals become more effective, efficient and collaborative. What can we expect Pitch to look like? Our vision is to build an open platform to radically improve the way presentations are crafted and knowledge is shared. 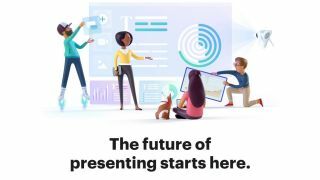 Pitch is a presentation tool for the Slack generation, so you can expect thoughtful design and a radically new user experience that empowers true collaboration on all of your devices, both online and offline Users will be able to create beautiful and high-quality slides in just a few clicks, pipe in data in real time from external sources, and publish presentations online to engage with their audiences. You mention other companies, like Slack, that are already revolutionising some aspects of the way we work. A key part of the appeal of such solutions is their ability to integrate with other tools. What integrations will Pitch offer? Pitch - just like Slack - will offer integrations with just about any app that a person might use in the normal course of their working day. We see Pitch presentations as “living documents” that are connected to external data sources and automatically update, in real time. We believe it’s a really transformational time for business software, where innovation and thoughtful design is resetting expectations and reimagining the user experience. In the same way that companies like Slack or Dropbox have transformed the way we approach collaboration and content sharing, we believe that Pitch will make people view the presentation space in a completely new light, namely, as a central hub for content collaboration, knowledge-sharing, and ultimately a platform for better decision-making. When will Pitch be available? The product is currently in Alpha mode and will be available in 2019.